Scientists have used one of the most reliable methods of dating to determine that a painting of a bull-like animal found in a cave on the island of Borneo is at least 40,000 years old, making it the earliest known work of figurative art. Scientists have used one of the most reliable methods of dating to determine that a painting of a cattle-like animal found in a cave on the island of Borneo is at least 40,000 years old, making it the earliest known work of figurative art. Deep in the mountains of the province of East Kalimantan are remote caves among the lush rainforest. A team of researchers from Australia and Indonesia hiked for days and climbed a mountain to reach them — and spotted tiger tracks and snakes along the way. Their goal was to more precisely determine the age of a series of images found within the caves, which were discovered in the 1990s. It's believed that cave art began around 50,000 years ago. First there were lines, then hand stenciling and eventually figurative art depicting images from everyday life such as animals and people. The researchers, whose findings were published in the journal Nature, divided the paintings in one cave into three categories that show that transition over time. The oldest images are red-orange paintings of animals, such as cattle, and hand stencils; followed by maroon-coloured hand stencils and depictions of humans; and finally, illustrations of humans, boats and black-coloured geometric designs. Dating cave art accurately has proven to be tricky. So the team, led by Maxime Aubert, who originally hails from Levis, Que., used a method called "uranium-series dating." It works like this: rainwater seeps through the limestone and dissolves small amounts of uranium. The uranium decays, producing another element, thorium. Uranium is water soluble, but thorium isn't. The researchers can take a sample of the cave and determine the ratio of uranium to thorium, allowing them to better calculate the age of the art. 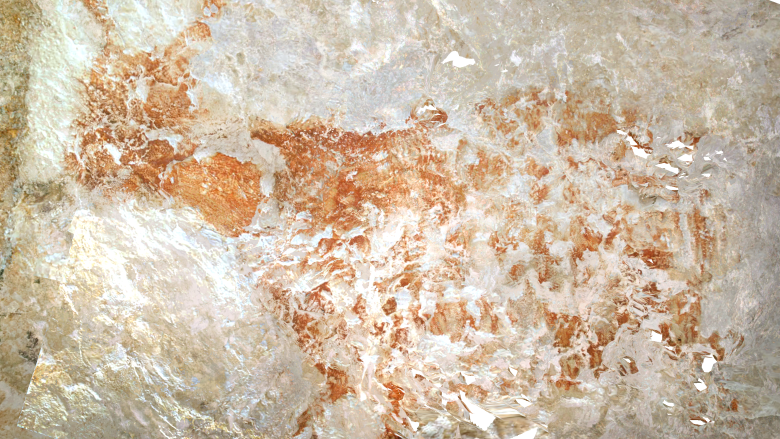 The researchers determined that a painting of an unidentified animal, likely a species of wild cattle that is still found on the island, is at least 40,000 years old. 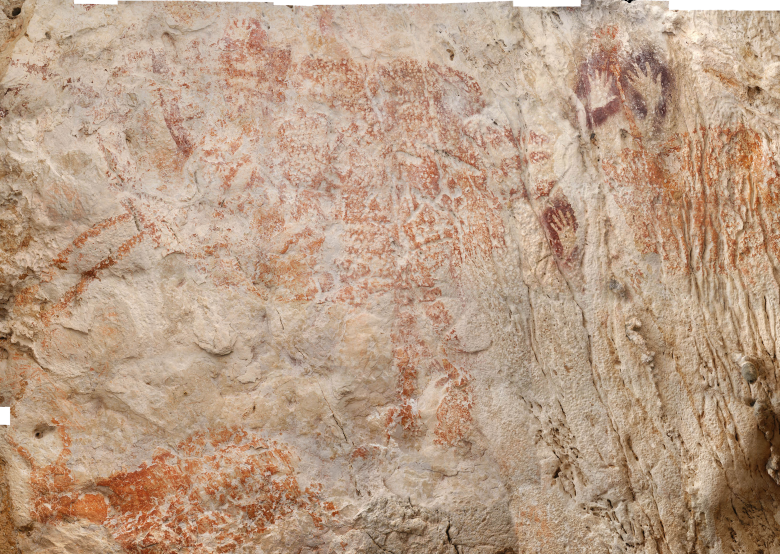 It is the oldest known work of figurative cave art — art that depicts an image from real life. 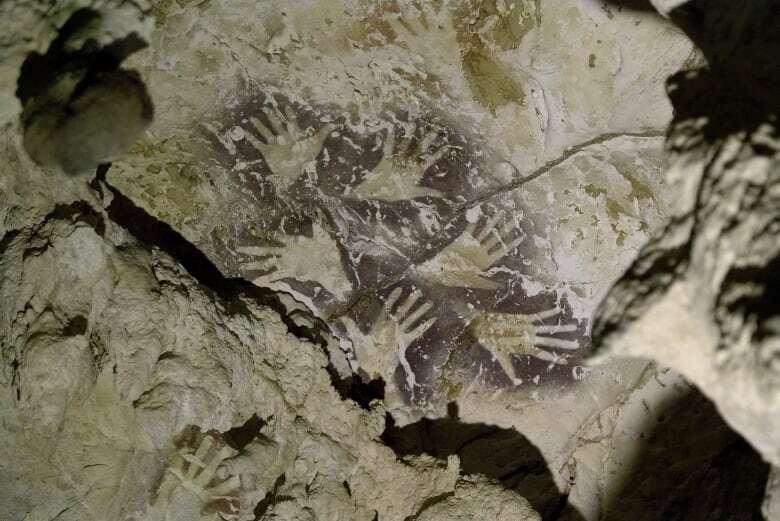 They also dated maroon-coloured hand stencils from the same cave, including one that could be up to 51,800 years old. While Europe is perhaps the most abundant source of cave art, works have been found throughout the world. For most of the Ice Age, Borneo formed the easternmost tip of Eurasia. But after the ice started to melt and sea levels began to rise, it broke off and became one of the Indonesian islands. So cave art actually emerged around the same time in different corners of what had been the same continent. "Most of what we know about how we lived in the Pleistocene is based on archeology and that's usually people's rubbish — what they left behind," Aubert said. "With cave art, if we can date it, it provides a ton of information that we can't get with archeology … They're depicting their way of life and they're essentially talking to us 40,000 years later." And there are plenty of answers still to be found. 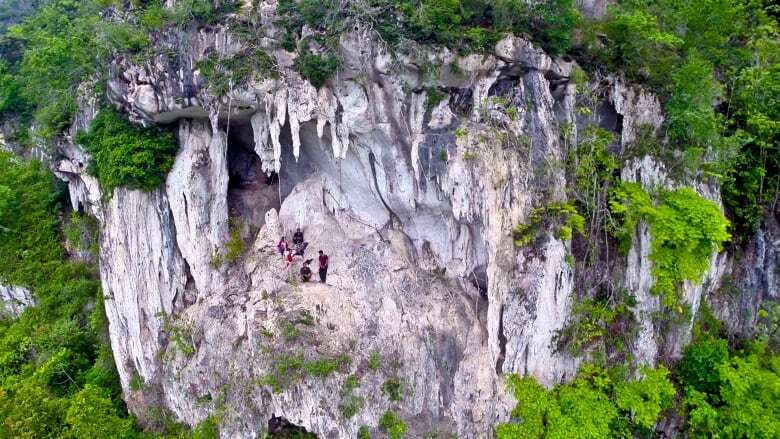 "Who the Ice Age artists of Borneo were and what happened to them is a mystery," said team co-leader Dr Pindi Setiawan, an Indonesian archeologist and lecturer at the Bandung Institute of Technology. How exactly the art was made is also unknown. In the case of the hand stencils, the researchers suspect the artists may have blown ochre dust onto the walls. And if their hunch is correct, there could be traces of DNA in the ochre. Aubert said they're trying to see if they can extract any DNA, but acknowledges "it's a long shot."